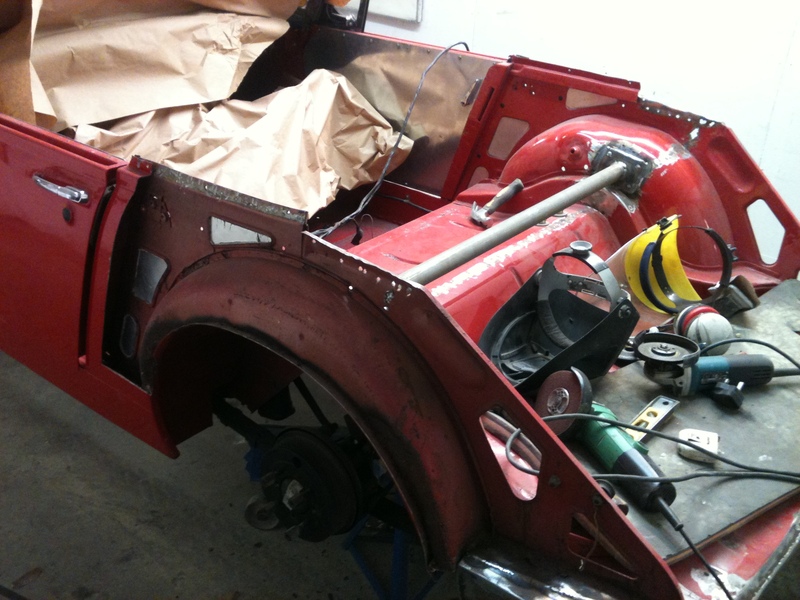 The Lenham Le Mans hire car is under construction. 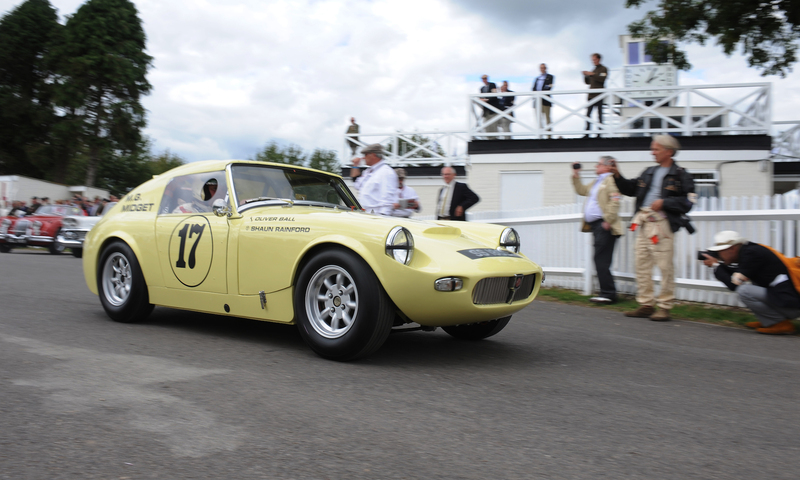 The basis for the car was our old Austin-Healey Sprite Racer which Tim Rhodes drove to win the MGOC Midget Challenge in 2005. 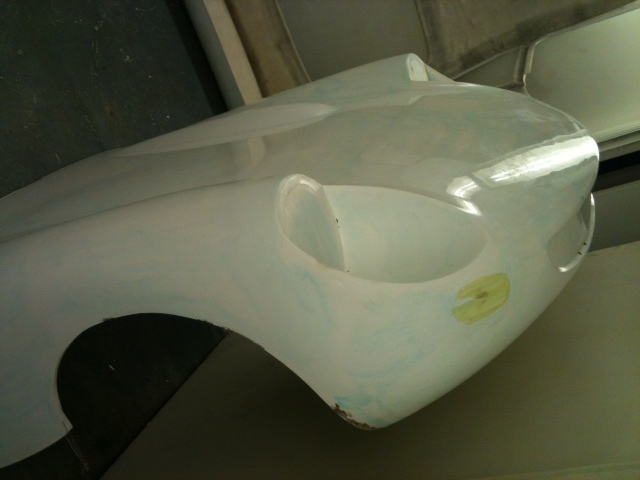 The rear skins were cut from the car leaving just the boot floor and rear wheel arches. 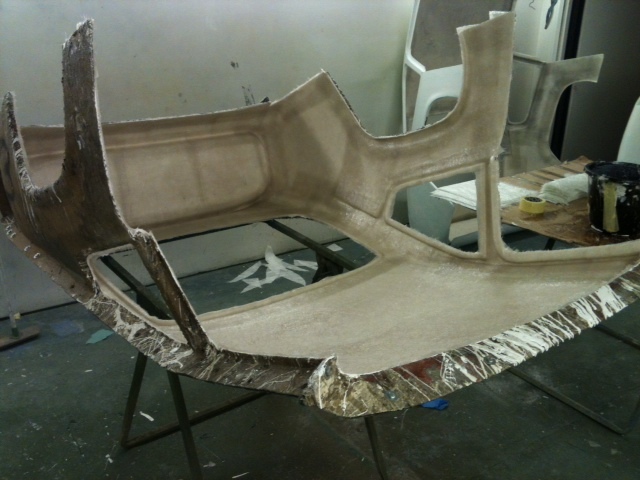 Ian has welded up a bar to stiffen the rear of the car between the two arches and has repaired the edges of the boot floor. 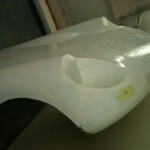 Meanwhile I have been constructing a Lenham bonnet and Le Mans rear out of fibreglass. 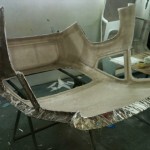 The body is now ready to meet the chassis. 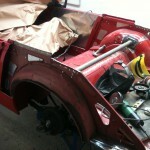 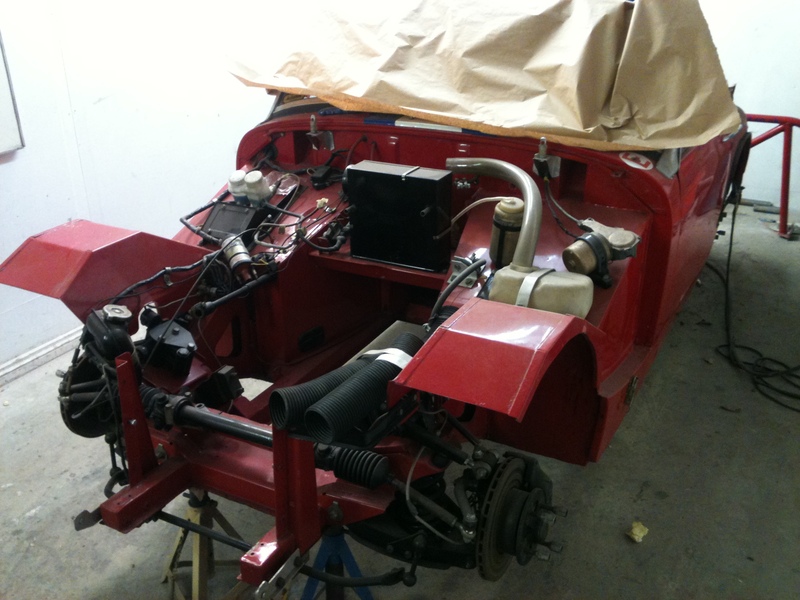 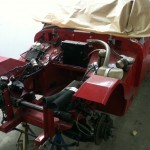 This car will recieve our full preparation service and be ready to hire next season for the HRDC Grand Touring Greats.